The car industry isn’t anymore new and has been around for a century now. Also, there are already a lot of Scrap car companies that would turn your scrap into cash which somehow makes it easier for consumers to get rid of their old cars. According to vehicle recycling statistics, the car you are driving today will be a good source of many recyclable materials tomorrow when time comes to recycle your ride. In fact, around more than 80 percent of a car can be recycled. It should be pointed out a good deal of recycling takes place while your car can still be in service, through automotive recycling. Cars that are dumped in rivers can become lethal traps for swimmers and for wildlife. Scrap metals that are dumped in the bush can spontaneously com bust causing wildfires. Also, Illegal dumping sites tend to attract additional litter compounding the original problem. On the other hand, recycling scrap metal means that we avoid the environment costs of dumped rubbish and the risk of toxic chemicals into the groundwater and landfill sites. Also, once we embrace recycling we avoid the cost of taking rubbish to the waste management facility. – Recycling steel saves energy and natural resources. – Steel is the word’s most recycled material, and can be recycled again and again without reducing the quality of the end product. – avoid air and water pollution. – Approximately 10 million vehicles are recycled annually. – Cars are the number one recycled product in the United States. 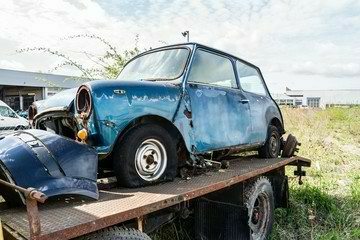 Cash for Cars Melbourne do remove scrap car as well as scrap van or a truck. The very first thing you have to do in order to get our service is to give us a call at (03) 87075767 or simply visit our website for more inquires. See you and We’ll be happy to serve you!